Marlon is worried for April, who cannot understand why her mum isn’t coming back. He’s determined to find out the truth and wants answers from the police about why she was operating alone that day, unaware of Donna’s deception. Ross is in turmoil and gives April the money Donna left for her. Marlon is shocked when he sees it and demands to know where she got it from. Hearing it was from mummy’s friend at the garage he assumes it was Cain and charges round to the farm to find out why. He is shocked to discover it was Ross, who then announces he was there when Donna died and that they were more than just partners in crime. Marlon struggles to digest the news that Donna was corrupt and a liar. Adam is in a real state and Moira worries about what Aaron has got him into, determined to get to the bottom of it. Whilst Aaron is intent on doing a bunk with him to France. Cain is furious when he realises Adam was working as a lookout for the job. Jimmy tells Charity about Megan asking him to spy on her and she hatches her revenge! 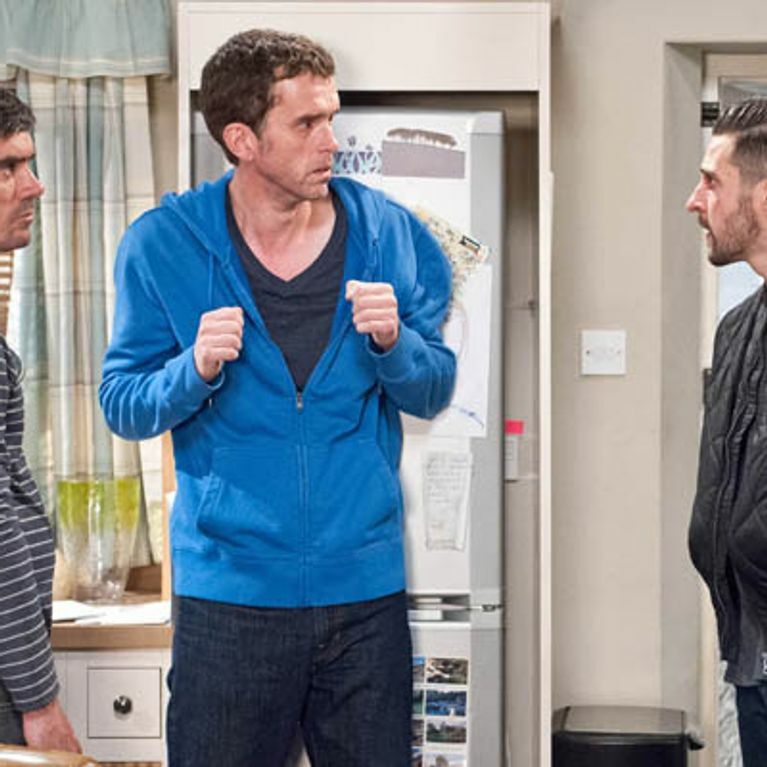 The Dingles lie to Paddy when he comes asking whether they have heard from Aaron later. Bob weeps over Donna. Emmerdale 19/08 - Can anyone make Nikhil stay?